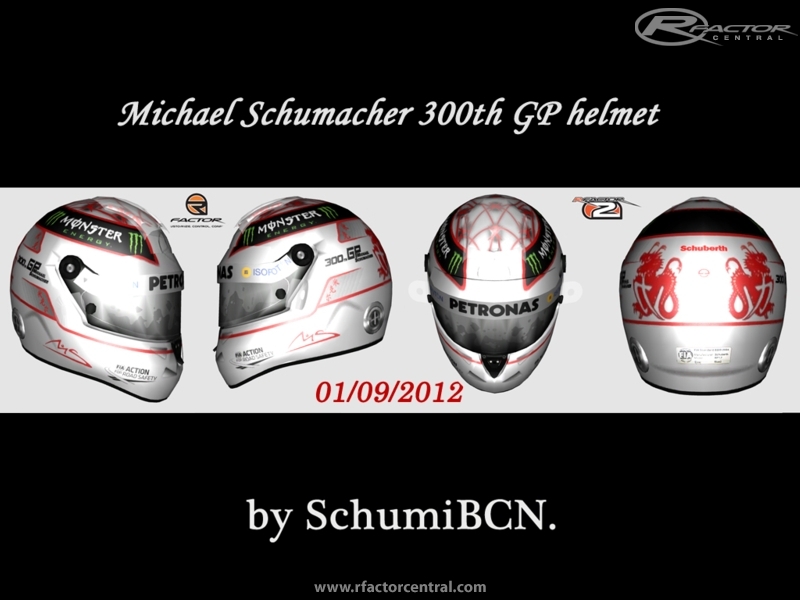 This is the Michael Schumacher helmet used during the 2012 Belgian GP to celebrate his 300th GP. 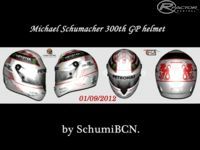 The helmet is for general use, so it's not done for a specific mod. Modders are free to modify it and use it as they need or desire, just ask me first if you don't mind.